Jordan Brand and its Jumpman logo are still popular but may be dulling customer demand. Can Russell & Co. come to the rescue? Thirteen years after playing his final NBA game, Michael Jordan is as strong as ever. Maybe not on the basketball court, but on paper, His Airness is king. Nike’s announcement of the 2016 annual sales numbers for Jordan Brand — which they separated from Nike’s basketball segment for the first time — showed that revenue for Jordan Brand is up 18 percent to $2.8 billion over 2015 numbers. Total Jordan Brand sales in 2016 doubled Nike’s overall basketball segment, which had revenues of $1.4 billion. So “Business is booming!” as DJ Khaled would say, even though rival shoe companies are nipping at Nike’s segment profitability (and “It” factor) in the last couple of years. Golden State Warriors star Stephen Curry’s megasuccessful shoe offerings for Under Armour drove up that company’s year-to-year sales, as did rapper Kanye West’s popular Yeezy collaboration with Adidas. Jordan Brand has invested in a crop of NBA All-Stars whose popularity continues to be on the upswing. LaMarcus Aldridge, Jimmy Butler, Blake Griffin, Kawhi Leonard and Andre Drummond are all Jumpman sponsors, as are Carmelo Anthony and Chris Paul. A detailed view of the Air Jordan basketball shoes worn by LaMarcus Aldridge of the Portland Trail Blazers, who played against the Sacramento Kings at Sleep Train Arena on March 1, 2015, in Sacramento, California. Jordan Brand has high hopes for the Westbrook 0.2, which is the second shoe collaboration with the former UCLA Bruin, and unveiled its latest edition with Westbrook in Las Vegas in July. Westbrook is Jordan Brand’s highest-profile athlete, the NBA player whom Jordan compares to a younger version of himself, and the man most likely to keep the brand relevant to a new generation of NBA fans who like his aggressive style of play. For those who follow the starlit path of the Jordan Brand from afar, news that Jordan’s company — THE Michael Jordan, y’all! — is successful isn’t a surprise. After all, Jordan Brand shoes and apparel have helped make Jordan the second richest African-American and the NBA’s first billionaire (estimated by Forbes magazine to be $1.14 billion). Jordan (the man) still rakes in more than $100 million each year — $110 million in 2015, to be precise — even though his public profile is considerably — and purposefully — lower than any of the NBA’s current bright lights. 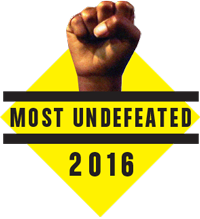 Jordan remains one of the NBA’s biggest stars and, as he proved earlier this year on the pages of The Undefeated, his every move can still make headlines and inspire other athletes to follow in his size 13 (or size 13.5) Air Jordans. Michael Jordan attends a press conference for the celebration of the 30th anniversary of the Air Jordan shoe during the ‘Palais 23’ interactive exhibition dedicated to Michael Jordan at Palais de Tokyo in Paris on June 12, 2015. The real workhorses of the brand — the ones that have traditionally sold well at retail, and give sneakerheads and shoe collectors something to spend money on — have been the numerous reissues of retro Air Jordans. Retros are what keep the brand hot and selling, especially those shoes that are released to the marketplace in limited quantities, thereby artificially ensuring that the styles are hard to get. 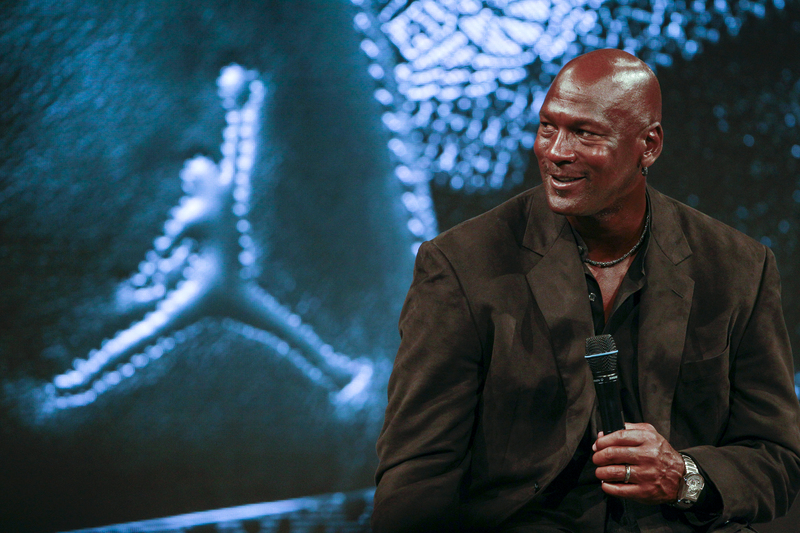 Sales of Jordan sneakers weren’t — and aren’t — always stellar. This is Nike’s genius concept of the limited sneaker, which helped to create a global secondary market that has made sneaker collectors wealthy. Jordan Brand re-releases classic Air Jordans regularly. The myth around Jordan’s brand began early. The original Air Jordan 1, released in 1984 and designed by Peter C. Moore, was revolutionary in the sneaker business because it complemented the Chicago Bulls’ uniforms with their red and black color scheme — and because the Nike Air Ship (the prototype for the Air Jordan 1) had been banned by NBA commissioner David Stern for not having enough white — the standard shoe color for all players’ shoes. 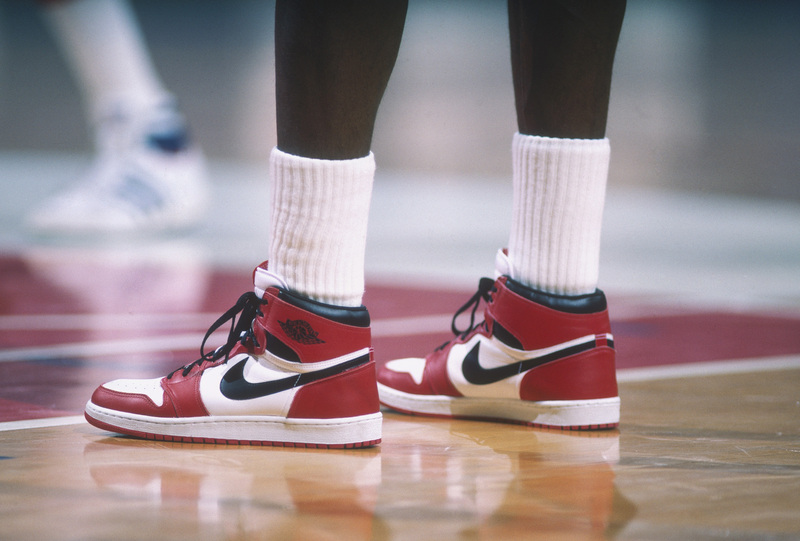 Detail of the ‘Air Jordan’ Nike shoes worn by Chicago Bulls’ center Michael Jordan during a game against the Washington Bullets at Capital Centre circa 1985 in Washington, D.C. But the legend of Jordan Brand kicked into high gear with the 1988 release of the Air Jordan III, which was designed by Jordan’s longtime Nike design partner Tinker Hatfield. It’s the first shoe to feature the new Jumpman logo — a genius silhouette of Jordan going up for a slam dunk with balletic grace. Unlike the faceless man dribbling a ball at the center of the NBA’s official logo, the Jumpman symbol can only be one person — and everyone knows who it is. Jordan’s sneakers went from being banned by the NBA to being a retail and cultural force affiliated with the best basketball player on earth. Little wonder that the Jumpman logo became synonymous with athletic prowess and excellence, said Larry Miller, president of Jordan Brand. It’s also why Jordan Brand employees still talk about Jordan’s core values — having a tough mindset and diligent work ethic, combining natural athletic talent with the willingness and ability to work hard, never being satisfied with game losses. These are the company’s public relations talking points that actually make sense to people who buy the product. “The majority of the kids who are buying this stuff now have never seen him play; they weren’t even born when he was playing,” said Miller, who met with a reporter in his spacious Beaverton, Oregon, office earlier this year. “But this evolved beyond basketball and Michael Jordan to the values that the brand represents. 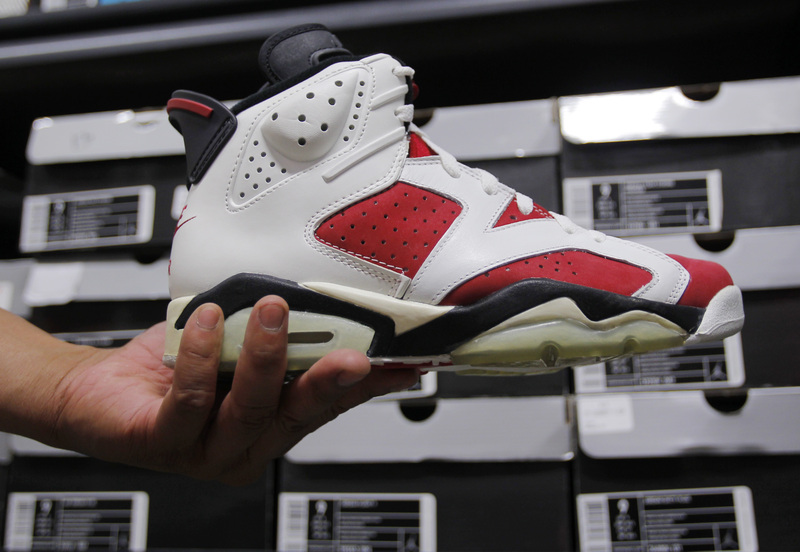 A 1991 Air Jordan seen inside ‘The Vault’ in Brighton, Massachusetts on June 3, 2013. Nike itself has consistently put in a heck of an effort to market Jordans in innovative ways. Director Spike Lee’s legendary “Mars and Mike” ad campaign started Jordan’s tidal wave of creative branding that brought hip blackness — and a burgeoning hip-hop aesthetic — into the homes and hearts of mainstream America. Over time, Miller said, Jordan Brand has evolved beyond basketball shoes to offer apparel and other athletic products. The team also determined that other athletes besides Jordan should and could represent the brand, and could hold court at the intersection of style and sport and culture. They began sponsoring athletes from other leagues such as the European soccer, the NFL, WNBA, MLB and NASCAR. Neymar Jr., Brazil’s biggest athletic export and multimillion-dollar forward for FC Barcelona’s soccer club, and other elite non-hoop endorsers such as ex-Yankee shortstop Derek Jeter and retired boxer Roy Jones Jr., are all Jordan Brand stars. “The brand will be here longer than Michael Jordan will and it will continue to be important to people because of what he stands for,” Miller added.